Home > Blog > Gardening > Perenniels > How are my roses? Thank you to Diana from Elephants Eye for reminding me to take lots of photos of my roses!!! I am waiting for them to give me a splendid display! I should be able to post it tomorrow too! I have been nipping some the new shoots to encourage growth and using my home-made bug spray on the aphids who think they can stay …..! I’m looking forward to seeing your roses bloom! You pruned hard, and are having to wait a little for the flowers? Or are you just enticing us with a bud, till later?? I leave the aphids as food for the ladybirds and the white eyes. Yes – I did, remember? I’ll have to post a before and after photo story! Is it safe to say that summer is your longest season, or is spring nice and long too? It’s so nice to see fresh green as your garden awakes while ours is winding down. I hope you’re making sure you have time this summer to post lots and lots of photos to help us northern gardeners get through the winter. I’ll wait with great anticipation to see your beautiful roses. 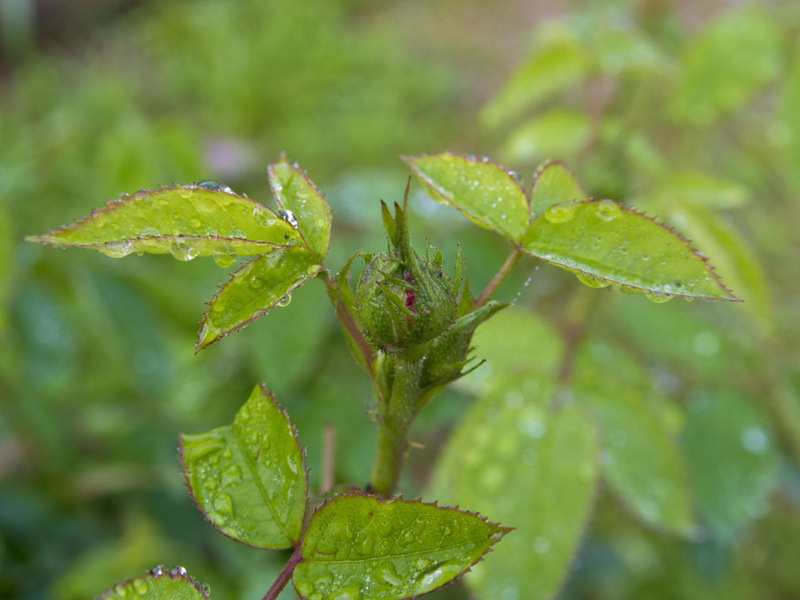 Our roses like to be watered deep at the base of the plant… no water on the foliage unless of course to spray off those pesky aphids. I can’t wait. I was hoping today was the day, but the buds are still holding back. You will be the first to see the photos! Yes – I really enjoy watering my garden – a ritual I use to zen out! Can’t wait to see more blooms! We miss our Roses during the winter, so we’ll have to enjoy yours virtually for the next few months!